Barbershop singing is essentially four-part unaccompanied harmony. It has its roots in early 20th century America but its popularity has spread across the globe. There are well over 50 men’s choruses and 70 women’s choruses in the UK. There is a thriving Barbershop community in Ireland, Holland and Germany too! There are quite strict rules about what Barbershop is, which we adhere to for competitions. However, most choruses and quartets bend the rules when singing for entertainment and sing four-part arrangements of a huge variety of songs. 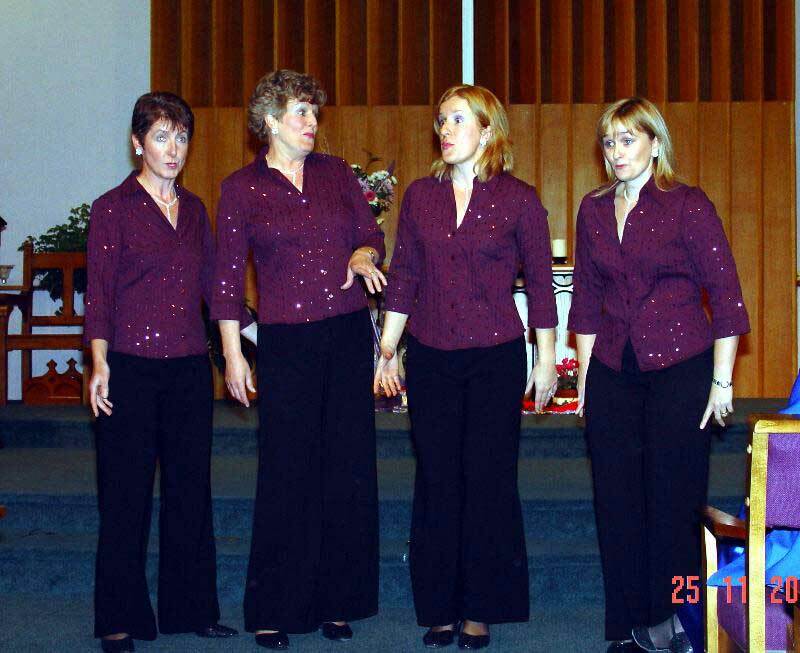 Bowled Over’s current repertoire includes everything from Bing Crosby to Boyzone!